IT IS HERE!!! Today is the kick-off of my 30-day November to Remember, No Excuses November, Challenge 2015! Click here to review the challenge. 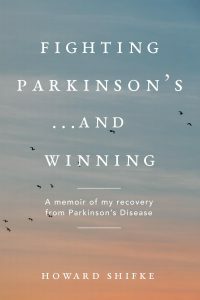 I am so excited about how many of you I have heard from who are making a commitment to yourselves to do the scaled-down version of the Parkinson’s Recipe for Recovery® for the 30 days of November. Congratulations to all of you on giving yourselves the gift of working on your Parkinson’s recovery. To kick-off the challenge, here is some inspiration. And, Mary, somebody new who is wanting to take the challenge, shared her struggles with us all. Here is my response to her. Now it is your turn. Jump in with both feet! Accept the challenge…make the commitment to yourself…grab onto the scaled-down version of the Recipe…make this your November to Remember for your Parkinson’s recovery. And, if you have been doing the Recipe already, re-commit yourself, challenge yourself…make this your November to Remember for your Parkinson’s recovery. “Together we have the power to heal the world.” Every time another person starts down this path to recovery, together we are growing in numbers and we do have the power to heal the world from Parkinson’s.